On the last post, we covered the documents needed for the movement of goods between inland points and the port at which the export will arrive/depart. If your business is not equipped to package your goods for export, there are export packaging companies that can perform this service for you. For more information, ask your international freight forwarder for a list of export packaging companies in your area. 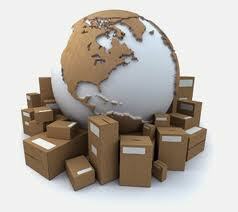 There are several considerations for preparing to ship your product overseas. These include requirements for certain products, such as hazardous materials, and regulations depending on your method of shipping, whether by air, sea, rail or truck. Learn more at SBA’s Transportation and Logistics page. Also visit export.gov for information on Shipping Your Product Overseas. An ATA Carnet is a special customs document that provides temporary, duty-free admission into countries for commercial samples, scientific equipment, education materials, and goods for exhibit. The Bureau of Industry and Security (BIS) can advise you on the need for a temporary export license. ATA Carnets are made available through the International Chamber of Commerce and associated organizations. In the United States, the program is administered by the U.S. Council for International Business in New York City. Temporary importation provisions are an important tool for companies that want to demonstrate their products in foreign markets or for professionals bringing “tools of the trade” into a foreign country for a limited period of time. Entry with duty drawback There is also provision for bringing tools of trade allowed for in the North American Free Trade Agreement (NAFTA). The ATA Carnet system is the most user-friendly system of temporary importation; however, there are a number of countries that do not accept carnets. In these countries, companies can post TIBs or apply for a duty drawback as an alternative means to duty-free importation.